Emmanuel Church is a lovely venue for the celebration of your marriage. 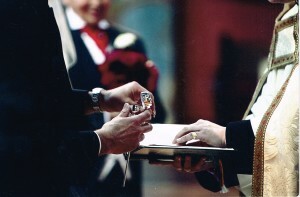 We understand marriage to be a sacrament – that is to say a special means by which God’s amazing and self-giving love is radiated into the world through the love that a couple have for one another and the covenantal promises that they make as they minister to each other at the heart of this great and wonderful sacrament. Fr Jonathan or any of the clergy are very happy to discuss the possibilities for your marriage at Emmanuel or any other celebration of life and love. Further details about marriage in the Church of England may be found on the wider Church of England website by clicking here. At the conclusion of the marriage in the contemporary Common Worship service, after the vows have been taken and before the registers are signed, there is the following beautiful blessing of the couple which is indeed a blessing of any committed relationship and a celebration of that abundant life and love which flows from the heart of God as God’s gift. pleasure and delight, love, peace and fellowship. upon N and N in their new life together. and a crown upon their heads.